My usual 5k time is around 25 minute but with Rosco literally in tow, my Birthday run was a little slower than usual. The setting was beautiful, the mud was aplenty and there were definitely hills but it was fun. I’ve been on a stint of exercise over the past few months partly to prepare for the London marathon and partly to keep my own fitness levels and avoid the effects of illness. 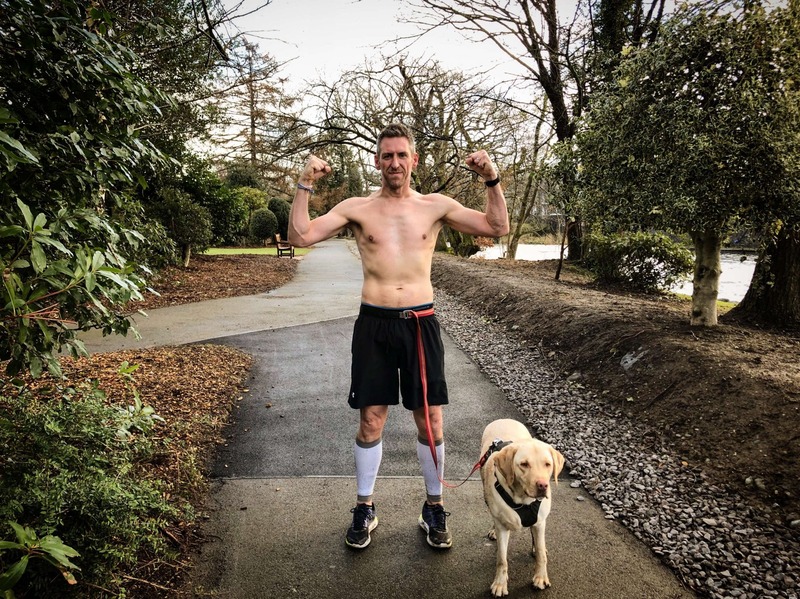 I’ve been pretty pleased with the results of my hard work so to round of and as a memento of the big 40, I made Mrs Hibbsy take my photo flexing my guns in Keswick!